The Celtics successfully spoiled Ray Allen’s return to the TD Banknorth Garden after they beat the Heat earlier today via a double-overtime win, 100-98. They out-lasted the Heat without their star point-guard Rajon Rondo, who was declared to be out for the rest of the Season due to ACL Tear Injury, leaving the Celtics fans devastated. 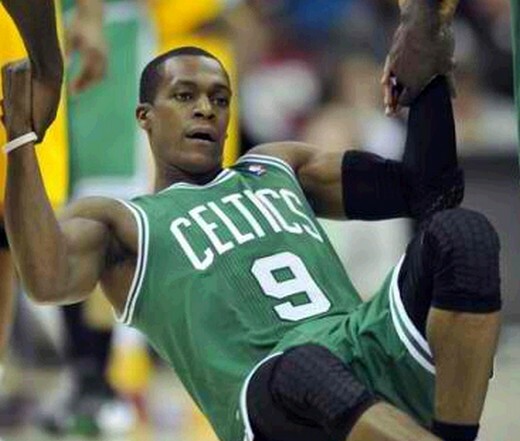 They will miss the services of Rondo who has been scoring heavily for the Celtics. He was averaging 13.7 points, 5.6 rebounds and 11.1 assists per game prior to his ACL injury. Avery Bradley will take over the spot that was left by Rondo. We should Expect him to have a lot of playing time for the Celtics throughout the remainder of the Season. On the other hand, Rondo is the designated NBA All-Star 2013 Eastern Conference Starter in the Point-guard spot. Now that he’s been declared to be out for the rest of the Season, who will take the starting point-guard role on February 17 (Philippine Time)? People on Twitter are saying that Kyrie Irving should take the starting point-guard role because he is a certified clutch player. He has done it time and time again for the Cavs. But another player seems to be a legit contender for the starter’s role. Jrue Holiday of the Philadelphia 76ers has also blossomed into a terrific point-guard in the East. His smooth moves towards the ring are very pleasing to the eyes. 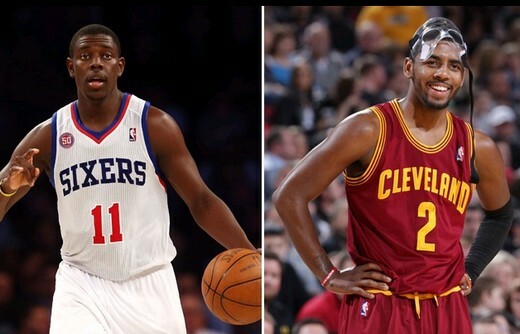 Kyrie or Jrue? That’s a tough question.